Consolidate everything into a single marketing campaign. No more wasted time tracking down the crucial details. Get a global view of your entire holiday campaign, multi-day tradeshow, or major press release in one centralized location. Proactively plan your entire marketing roadmap. Rarely are you working on just one campaign. 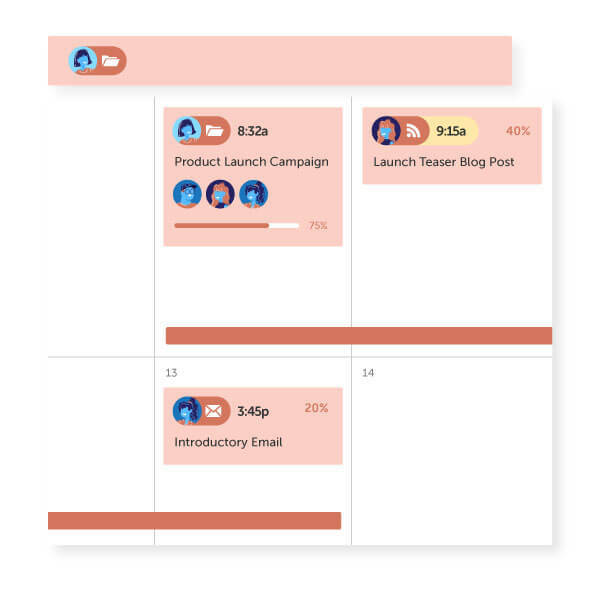 With Marketing Campaigns, you can confidently plan out days, weeks, and even months worth of projects in advance (without overbooking your team). Maximize your team's resources from one centralized location. 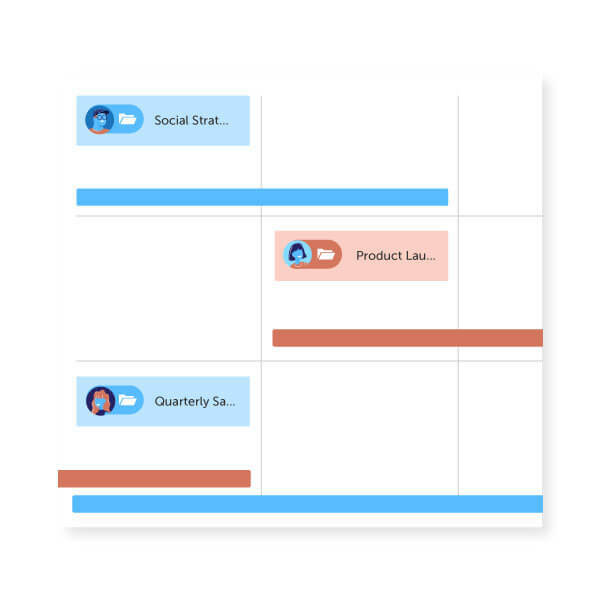 With all your moving pieces in one Marketing Campaign, you and your team can accurately gage timelines, stay on track (and on budget) and know who’s working on what – at any given moment. Monitor your team’s progress + make adjustments faster. Managing huge campaigns is an artform and staying on top of all those deadlines can get tricky. 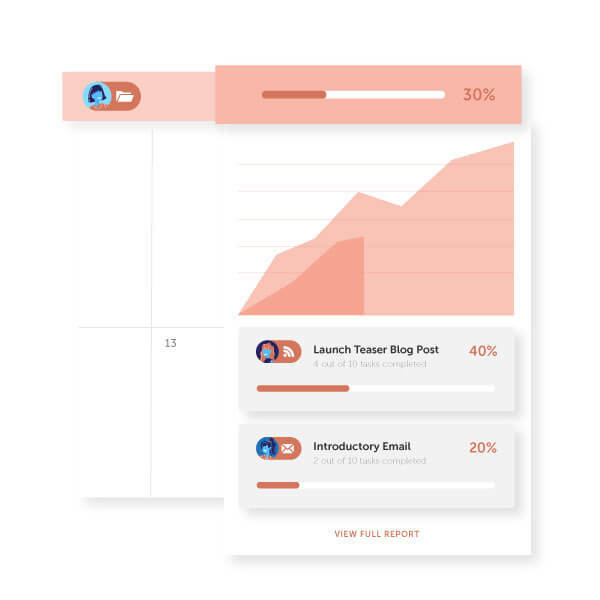 With Marketing Campaigns, you can quickly see your team's overall progress and make adjustments faster, so you never miss a deadline. Measure the success of your entire campaign with understandable reports. 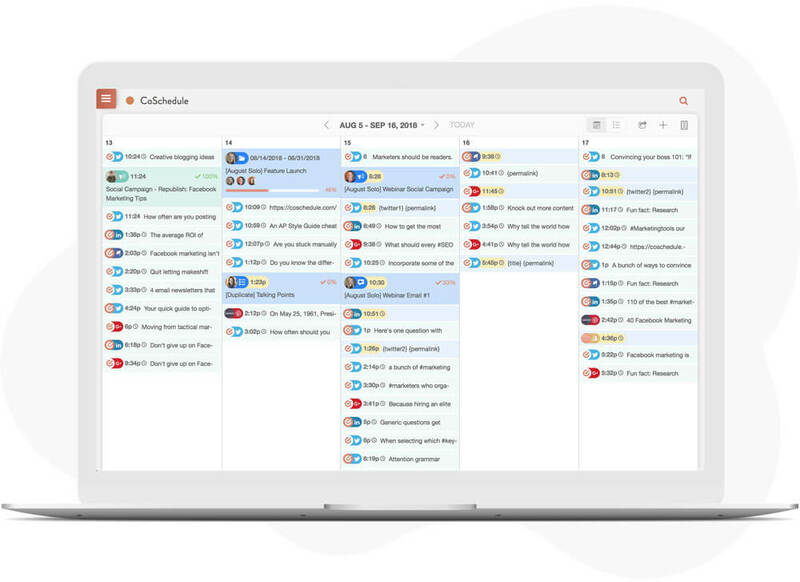 Get a holistic view of your campaign's performance with CoSchedule's advanced analytic suite and social campaign reports. Get social stats for Facebook, Twitter, Instagram, Linkedin and Pinterest. Stop downloading reports from individual platforms (or multiple third-party tools). Review your social strategy with unique reports for every social platform. Measure the performance of your entire promotional strategy in one report. Pinpoint correlations between two campaigns with side by side comparisons. Compare similar social campaigns or posts side-by-side to test what's working (and what isn't). So you can continually fine tune your messaging for your evolving audience.